It’s no secret Marin is a special place. 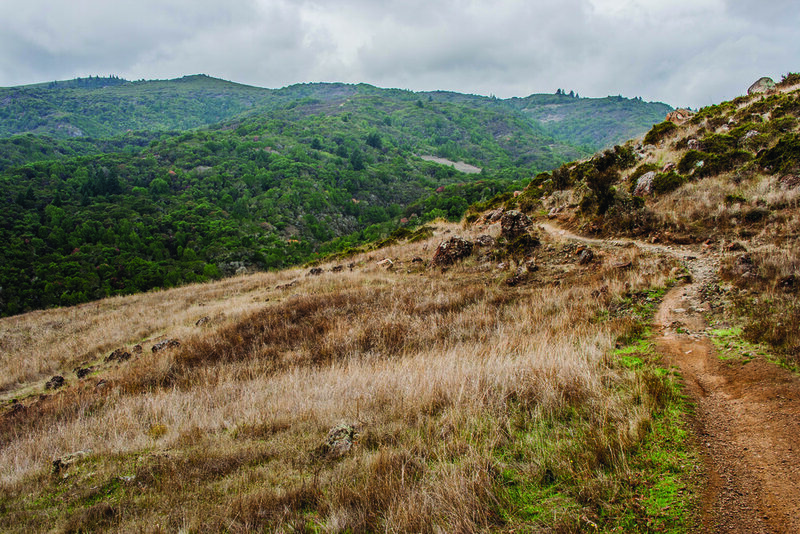 Multitudes of people — from Marin as well as internationally — find their special place out on the trails of Marin. The redwoods and majestic oaks, the coastal vistas, the San Francisco and Bay views. The serenity, the challenge, the immersive experience, the community. These are just some of the things that draw us in and keep us coming back for more. We believe bikes are an appropriate way to experience all the above on much of our public lands. We also believe sharing the trails with other user groups is not just feasible, but productive. mountain bikers are the second largest user group in Marin’s public lands. Surveys conducted in 2011-2012 by MMWD and MCOSD put the number anywhere from 23-30%. In the last seven years, that percentage has steadily risen. We are happy and willing to lead the way in trail stewardship and environmental protection with our growing demographic and enthusiastic volunteer corps. The Facts section of this site is a great place to start learning about the state of mountain biking in Marin. For a deeper dive, check out our Marin County Mountain Biking Fact Book. Designed as a concise resource for Marin land managers, this compendium is also a resource for anyone interested in public policy, the environment and mountain biking. If you're pressed for time, here's the one-page version.